Our instructional design work puts learners first, providing them with engaging content and several opportunities to practice. Our teaching experience gives us unique insight into how people learn, and we bring this knowledge to every instructional design project. Parallax worked with Hydro One to redevelop a concept and write all copy for a comic book designed to promote electrical safety and knowledge among Grade 6-8 students in Ontario schools. 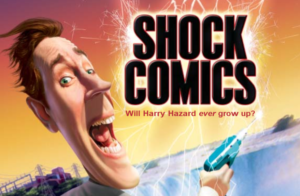 Shock Comics is based on Harry Hazard, a fictional character who guides students through the learning experience with information, activities, and experiments. Shock Comics is distributed in class rooms after safety presentations by Hydro One staff. The publication is also available online in the Children/Youth safety section. 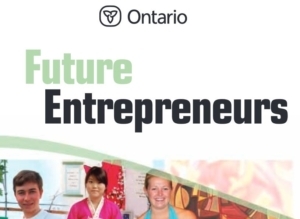 Parallax worked with the Ontario Ministry of Small Business and Entrepreneurship to develop new material for Future Entrepreneurs, a curriculum resource for teachers of Grades 7 to 10. Working closely with ministry staff, we developed a list of successful young entrepreneurs to be profiled, selecting for business acumen, appeal to a young audience, and diversity. We interviewed each entrepreneur, researched their companies, and wrote the profiles. We also developed and wrote the format for each learning module: “the big mistake”, “the lesson learned the hard way”, “five questions”, and “make a case”. The result is a concise learning package that can be used in various ways by teachers in a variety of settings. As part of the project, we also wrote and developed an interactive learning game for the CD-ROM, based on the Foxy Originals profile. Take a look at Future Entrepreneurs. Ontario’s Ministry of Economic Development and Trade’s online mapping tool Select Ontario is used by potential investors to explore investment opportunities in the province. We developed scenarios and lessons for instructor-led, classroom-based training, and we also provided a student’s version of the manual. In addition to writing the training materials, we provided instructional strategy guidance to the instructor who would be conducting the workshops. Take a look at the Select Ontario Manual.